Gretchen and Michael Aregood of Philadelphia enjoyed eight nights at Secrets Maroma Beach Riviera Cancun for their Honeymoon this past spring. The newlyweds stayed in a swim up suite and had a wonderful time together. This was their first trip to Maroma Beach and also their first experience staying at a Secrets Resort & Spa but they loved it so much that it won’t be their last. 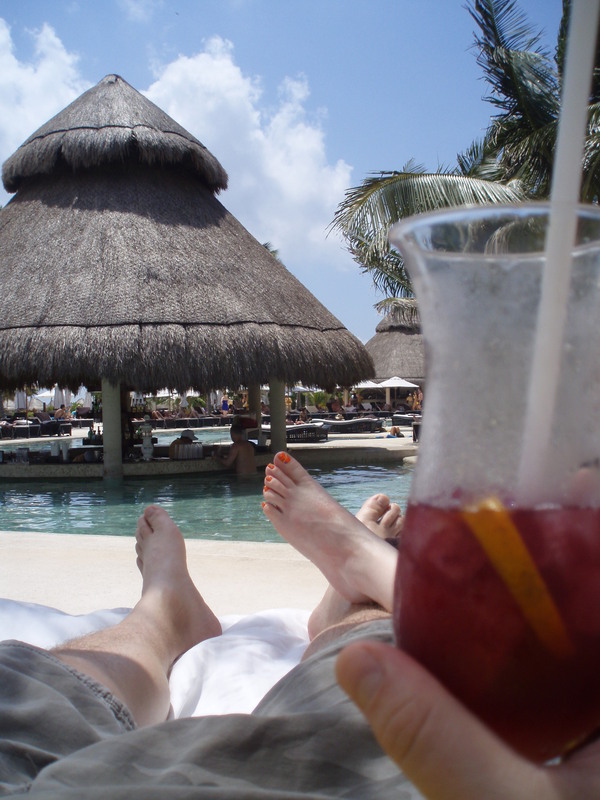 Gretchen shares some of their favorite parts of their honeymoon at Secrets Maroma Beach with us below. Why did you pick Secrets Maroma Beach for your Honeymoon? We knew we wanted to go to Riviera Maya and were looking for a luxury, adults only property. 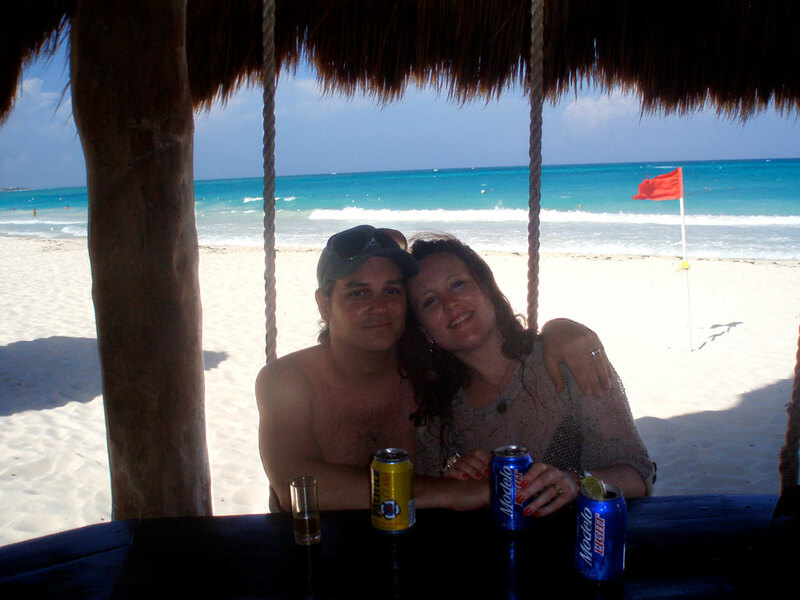 We have been to the region several times, but it was our first time in Maroma Beach. Did you know that Maroma Beach is the World’s Best Beach according to The Travel Channel? I don’t know if I knew that at the time of booking, but at some point along the way I heard that. The beach is huge and gorgeous, and I’m a beach walker and beach comber so I enjoyed that I could walk for miles. Did you enjoy one of the Honeymoon Package? No, we didn’t have a package, but our travel agent arranged for us to have fruit and champagne upon arrival, and breakfast in bed one day. My favorite (and unexpected) part of being there on my honeymoon was the banner on our door. It made us feel so special, and recognized. Oh, and constantly being called Mrs. Aregood! Did you or your husband have any spa treatments when you were there? Yes, we both had massages, and I had a manicure. The spa was so beautiful! What was your favorite part about your stay at Secrets Maroma Beach? There were so many great aspects of our stay; it’s hard to choose just one. Our concierge Roger was AMAZING, we loved the pool side roving food stations, the head waiter at the breakfast buffet helped me with a special request the first day, and sought me out every day after to bring me my special request (without even being asked!). Ursula in the entertainment staff was wonderful. Judith, our resort photographer was so talented and captured amazing shots that we will cherish forever. The bartenders at the beach bar were great. All in all we were blown away by the service; it truly exceeded all of our expectations. Will you be back for your one year anniversary? We would love to. Mr. and Mrs. Aregood also mentioned that they really enjoyed having a Secret Box in their room for private room service delivery. Secret Boxes are an Unlimited-Luxury® amenity included in all the suites at Secrets Maroma Beach. They also explored the region by renting a car and discovered the ancient Mayan ruins in Tulum. Their entire trip was unforgettable and they have photos that capture every moment. Planning your honeymoon? Explore our romantic honeymoon packages today! This entry was posted in Secrets Maroma Beach and tagged honeymoon, Maroma Beach, newlyweds, real honeymoon, Riviera Maya, romantic getaway, World's Best Beach. Bookmark the permalink. Looks like they had an amazing honeymoon. Maroma Beach looks stunning, my wife and I had our honeymoon in Fiji and had such an amazing time out there. We had such a good honeymoon package and were able to do so much whilst we were out in Fiji, we even managed to spend a few days in Australia and New Zealand on our honeymoon.